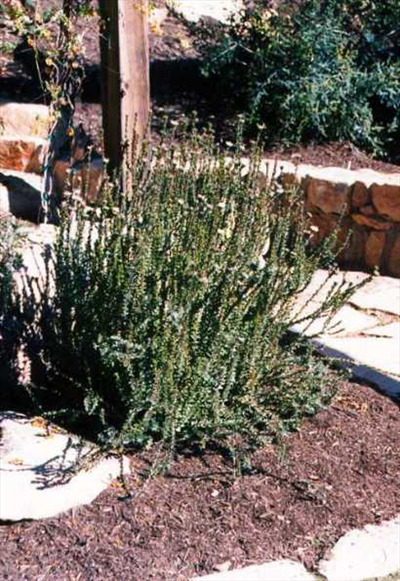 Small shrub 3-5'with erect habit, deep green foliage and pale pink terminal flowers. Prefers well-drained light to heavy soils. Tolerant of moderate frosts and extended dry periods. Prune when young for bushier growth. Cut flower. Forms an excellent low hedge.